Mini Mania went into the mountains to take over the streets of Snowmass, Colorado. 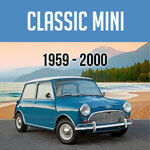 In this video Don Racine is racing a Vintage Mini Cooper with RMVR in this Snowmass street race. In this six lap event Don is showing what these Classic Mini Coopers are all about. Exceeding speeds over 70 mph he’s able to race down, taking the difficult straights and curves with ease. Watch and find out if Don Racine held on to a podium spot. This vintage race car is packing more punch under the hood than normal. But that doesn't mean you can't be a part of the excitement as well. 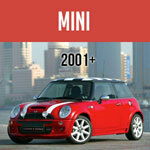 Contact us here at Mini Mania and we'll help you get to the next level!